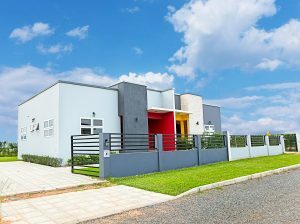 A British investment consortium has acquired a first phase of housing at The Oxford, a turnkey residential development at Appolonia City, the mixed-use satellite city near Accra. 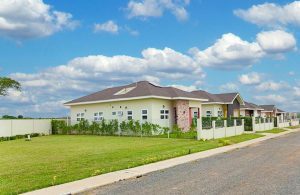 The consortium, led by prominent British investor Simon Edwards, has purchased off plan 30 homes at The Oxford, with an intention to accelerate their availability to the Ghanaian market. The consortium’s homes are intended as an investment asset for resale or rent. The Oxford will be developed to a total of 420 homes across a total area of 20 hectares (49 acres) upon completion, with over 50 homes already under construction at present. Appolonia City offers buyers of The Oxford homes flexible payment terms, with a 40% payment upon signing and the balance over 18 months. In addition, in partnership with Ghana Home Loans, Ghana’s largest mortgage provider, Appolonia City offers buyers mortgages with a 20% down payment and 80% paid over 15-20 years. “The investment in the Oxford by Simon Edwards and his consortium underscores the strong product offering and value for money at Appolonia City,” said Bright Owusu-Amofah, CEO of Appolonia City. Edwards, the founder, CEO and majority shareholder in Midas Capital Partners Limited until its sale in 2007, has been working in investment and capital markets for over 30 years. Originally from Liverpool, from 1997 to 2002 he was CEO of the Merseyside Pension Fund, one of the largest public sector pension funds in the UK, overseeing assets of over £5billion.